The Climate-adaptive Construction Convenant in Zuid-Holland was signed! 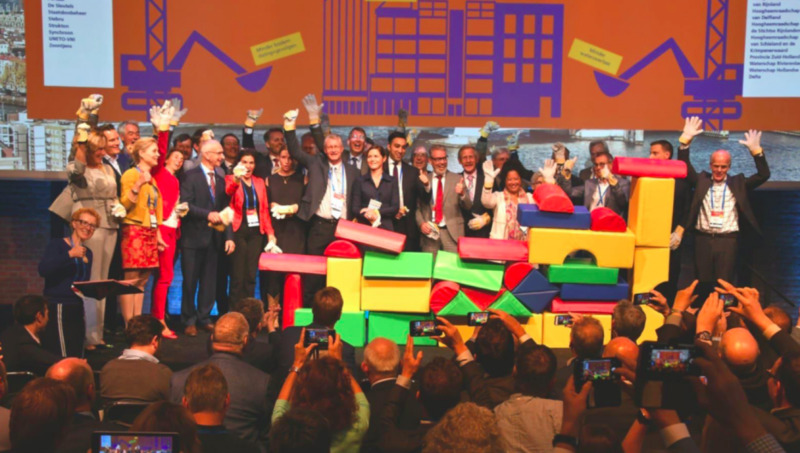 On 4 October, 35 companies, NGOs, Water Authorities, branch associations, municipalities and the Zuid-Holland provincial government have signed the Climate-adaptive Construction Covenant. As of 4 October, new construction locations in Zuid-Holland are constructed as climate-adaptively as possible, to make them resistant against extreme weather caused by climate change. This is the mutual ambition of 35 stakeholders in Zuid-Holland. The Delta Committee recently formulated it in its recommendation: the home construction task must be fulfilled climate-adaptively. Climate change has a strong impact on our living environment; the amount of weather extremes is on the rise. Zuid-Holland is facing a great construction challenge – the province requires 100,000 new homes by 2025. In light of these two challenges, it is paramount that climate-adaptive construction becomes the new standard as soon as possible. The Zuid-Holland coalition takes the lead to speed up the process, develop new design principles and standards, stimulate innovations and allow for more test locations. In order to speed up the process, the coalition wants to realise a broad innovation: to go from ‘classic tenders’ to new ways of financing such as climate mortgages. The new design principles for climate-adaptive construction set out basic principles that will lead to less flooding and heat stress, less extended drought and soil collapse and more biodiversity. The coalition stipulates these principles in a ‘programme of requirements’ for climate-adaptive construction that will be observed as of early 2019, plus a white paper with technical and economic opportunities. 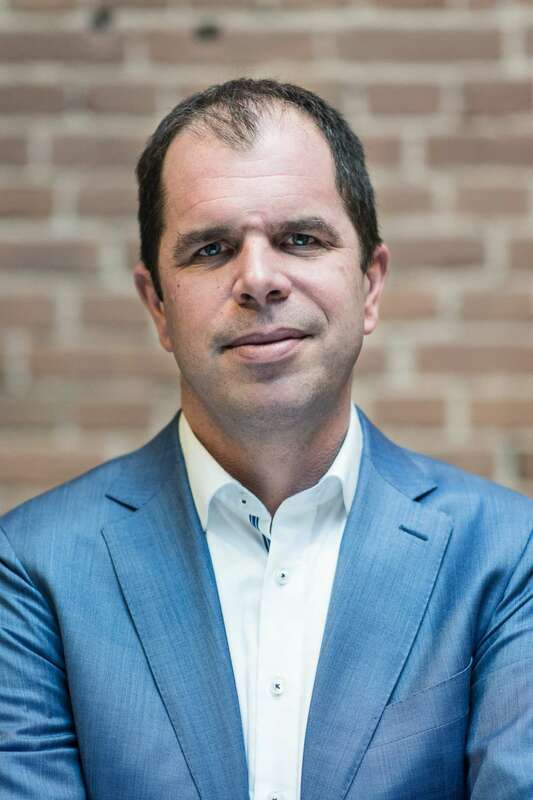 In addition, the Zuid-Holland partners intend to deliver a method within a year and a half that will serve to determine whether a construction project meets the standard for climate-adaptive construction. New stakeholders are still joining the coalition; and they are more than welcome. The principles and experiences are shared with other regions, industries and various collaboratives with regards to climate-adaptive construction. For more information, please refer to the project Climate Agreement Construction. 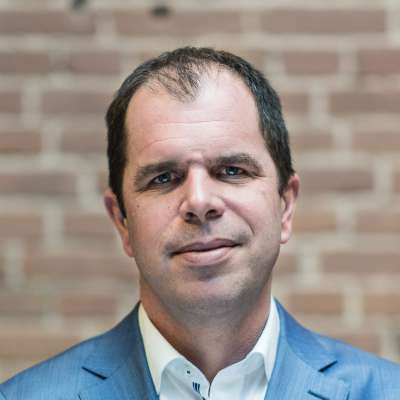 BLOC has initiated and prepared the Climate-adaptive Construction Covenant and shaped the coalition together with the Zuid-Holland provincial government. PARTAKING IN THE CONSTRUCTION CHAIN? OR WORKING FOR A GOVERNMENT OR HOUSING CORPORATION? AND WANT TO STAY POSTED ON THESE DEVELOPMENTS OR GET INVOLVED YOURSELF? PLEASE CONTACT SANDER van der Wal.